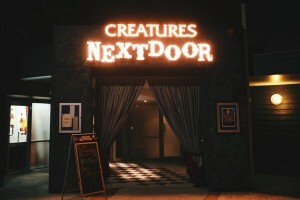 On the last Friday of every month the Red Room at Creatures Next Door in Fremantle hosts the Naught to Naughty Cabaret. Nicole in Red presents the show, comprising a selection of taster acts of any genre lasting no more than 15 minutes. 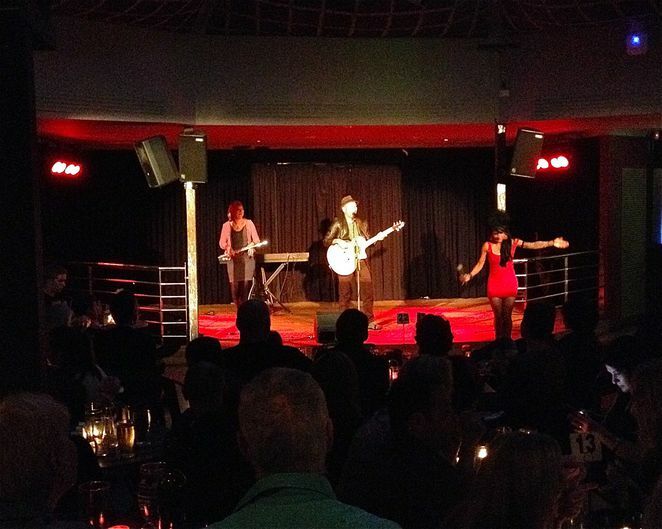 On the Friday night I attended it was a full house. Arriving just after 7:15pm I had time to get to the bar for a drink and find a good seat. The show started shortly afterwards at 7:45pm but not without a band, featuring the lovely sounds of an acoustic guitar and a flute, to warm up the waiting crowd. The warm up and intermission band, and the night's host Nicole Housewine. 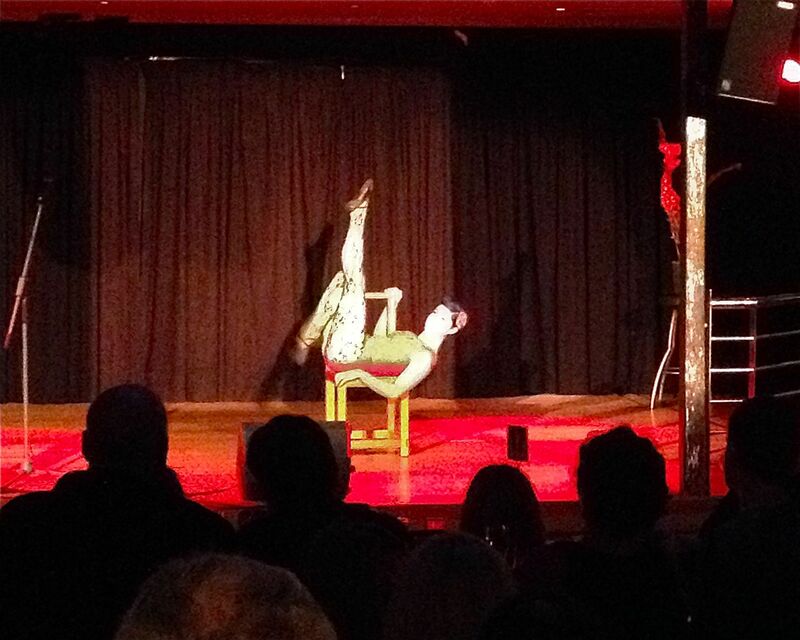 There were nine acts in total, with everything from amateur juggling to very skilled pole dancing to wow the crowd. 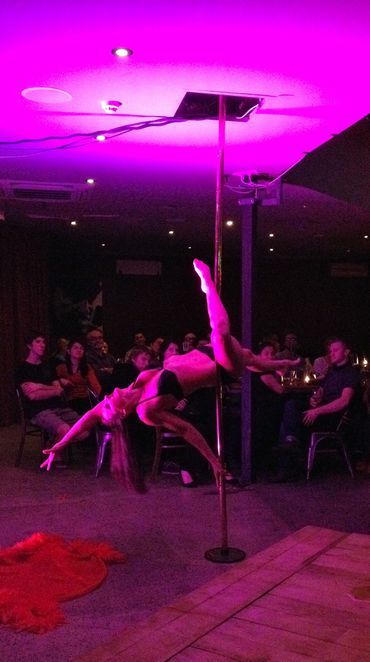 My favourites (and, I suspect, the crowd's too) were the poetic monologue, burlesque striptease and pole dancing acts. And a special mention must be given to the charismatic presenter of the show, Nicole Housewine, who had the crowd in stitches with her antics. The flexible and strong pole dancing performer. More details and pictures are available on the website. Tickets are available at the door although bookings are advised. Get your tickets here closer to the show date.